"(New Brigade) is, basically, perfect." 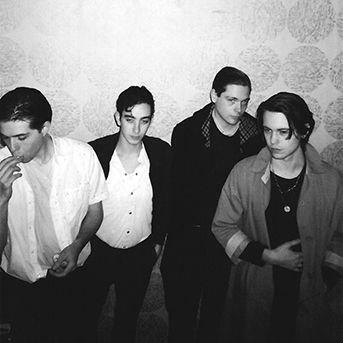 Erupting into life in 2011 with the appropriately-named debut album New Brigade, recorded when the band were all in their teens, Danish punk quartet Iceage reinvigorated the idea of rock music as a primal, dangerous force for youthful expression. Led by Elias Bender Ronnenfelt, a singer who fuses the raw charisma of a young Nick Cave and the damaged intensity of Pete Doherty, they’ve developed into a rock group of breadth and emotional honesty on their subsequent releases on the highly-regarded indie label Matador, You’re Nothing (2013) and Plowing Into the Field of Love (2014).